In applications where your gasket is in contact with oil or gas, it is usually favorable to use a nitrile rubber or NBR. 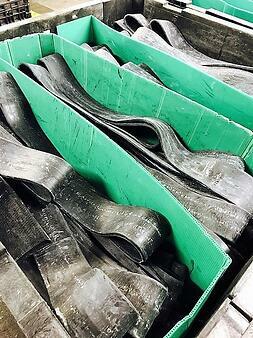 Nitrile rubber is more resistant than natural rubber to oils and fuel. Nitrile contains various amounts of acrylonitrile, an ingredient which makes the material more or less oil/fuel resistant. However, something important to keep in mind when using nitrile in an application, is that the level of acrylonitrile affects the gasket’s low temperature resistance. A nitrile high in acrylonitrile has poor low temperature resistance. 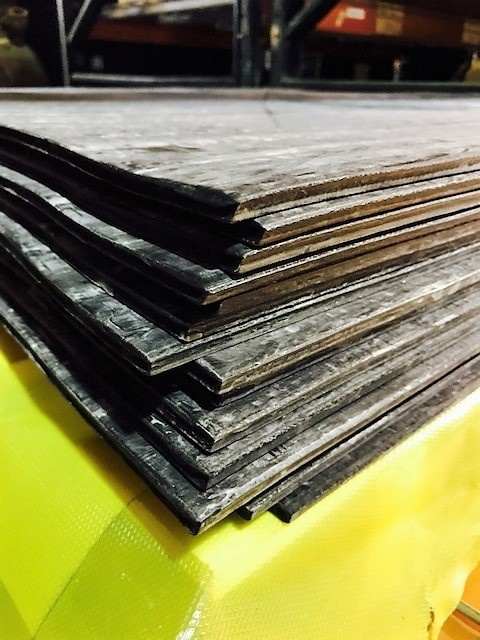 While nitrile rubber has superior resistance to oil and gas, it is not the most weather resistance material and is best for enclosed applications. Natural rubbers & neoprene are good in dynamic applications, assuming the environment does not contain oil and gas. If the dynamic application has contact with oil and gas, HNBR is more favorable. Staff at Grand River can go into further detail about which material will work best for your dynamic application. Choosing materials for food grade applications can be a daunting task. The Food & Drug Administration provide details regarding the applications in which a material can be used and the percentage of that material that can be used in those applications in the Code of Federal Regulations Title 21. If you have any questions about your food grade applications, give us a call. Our team has extensive knowledge and practical experience on the topic, as we are the only Lathe Cut Gasket Manufacturer recognized on the FDA’s Interstate Milk Shippers (IMS) List. We also have many customers that ship food grade products abroad and would be happy to assist you in choosing compliant materials. In conclusion, we hope the information provided insight on how to choose the correct lathe cut gasket materials for your application. For a full list of our materials, check out our materials page. Have additional questions? Please contact our team below.